The price is forming the fourth wave in wave , and it looks like the correction is about to be finished soon. In the near term, we can expect the price to start growing up again while forming bullish wave (5) of . 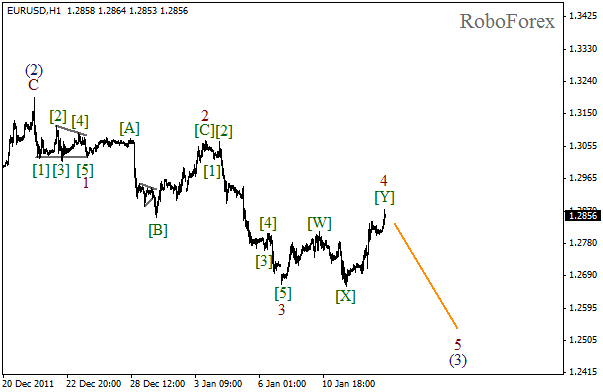 As we can see at the H1 chart, the fourth wave is being completed in the form of double zigzag pattern. Judging by the structure of wave (4) we may assume that the wave may be already finished. 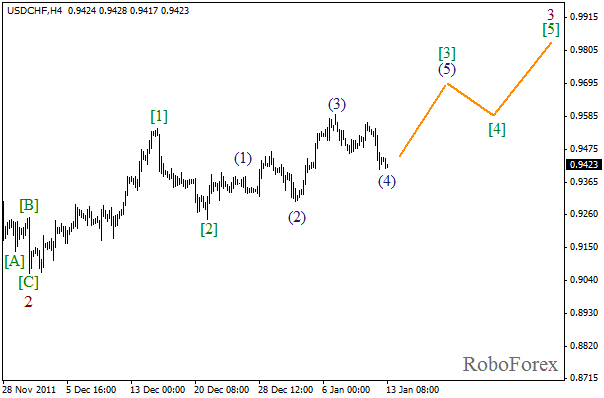 During the next several days we can expect the price to start forming wave (5). It looks like the price has almost completed forming the fourth wave. Taking into consideration the fact that in the end of the wave the price was moving very fast, in order to start selling one should wait while the market forms a bearish impulse on minor wave levels. The target is still at the level of 1.2500. 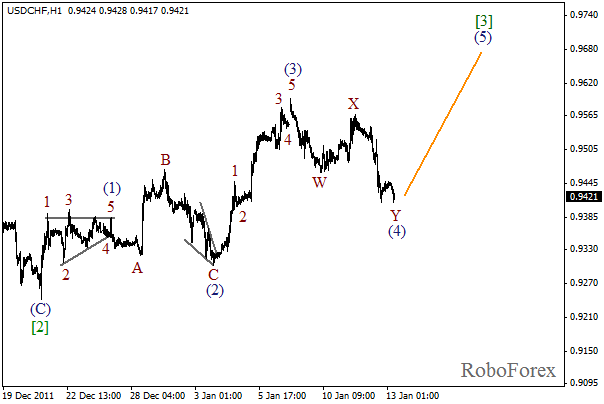 At the H1 chart the correction is taking the form of double zigzag pattern with wave [Y] being formed inside it. Most likely, wave (4) will be completed on Friday. 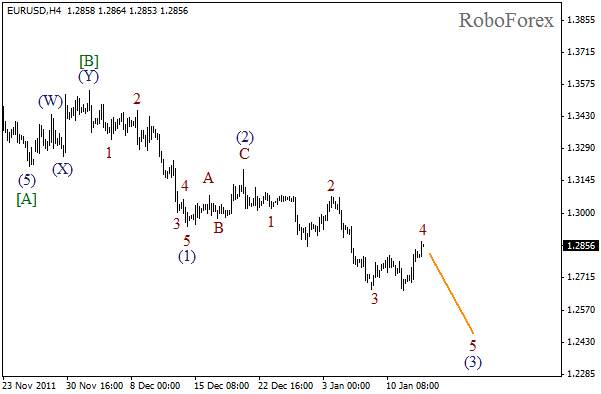 After that we can expect the price to start moving downwards while forming wave 5 of (3).